Ticket price is $20 plus taxes and fees. Tickets and more information available here. 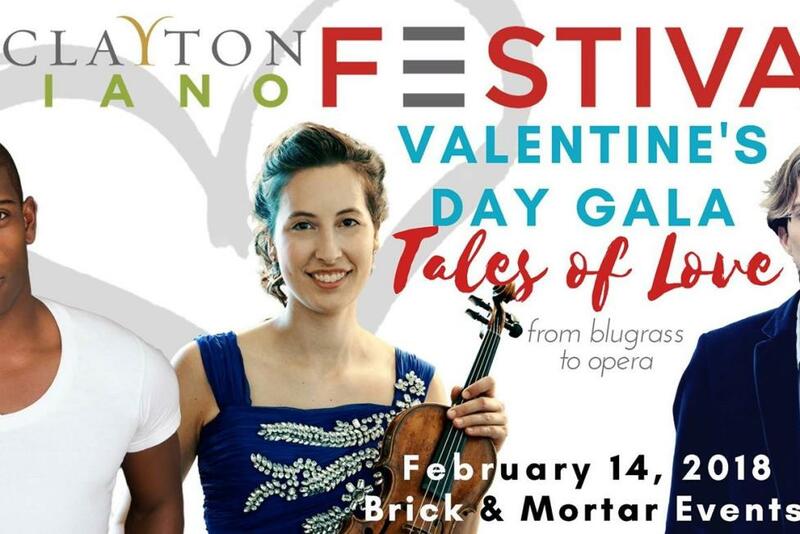 Clayton Piano Festival presents the 6th installment of it&apos;s highly anticipated Valentine&apos;s Day Gala events at Clayton&apos;s elegant Brick & Mortar Events. Enjoy a four-course dinner and listen to world renown artists perform for you in an intimate setting. Internationally acclaimed performers, Curtis Bannister, tenor with Chicago Lyric Opera, Christin Danchi, violinist of the North Carolina Symphony and pianist and CPF founder, Jonathan Levin, take listeners on a journey through a dynamic variety of music having to do with love. Musical styles will range from bluegrass to classical opera! This event is a favorite among followers of CPF&apos;s performances and newcomers alike. Ticket price includes a full course meal, open bar and reception afterwards, where attendees can mingle with the performers. Tickets and information available here. For an on-going list of events happening in Johnston County, including additional Valentine’s events that could be added as details are finalized, go to our Events page.